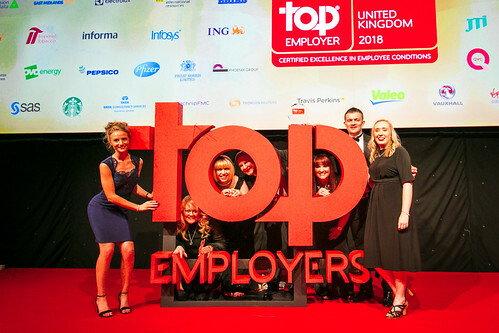 Held at the prestigious Old Billingsgate, this event honoured the achievement of the 85 companies certified as Top Employers UK 2018. This year we welcome the Top Employers from the United Kingdom to the heart of the City on the North bank of the River Thames to a historic building that is a remarkable part of London's heritage: Old Billingsgate. On February 1st, 2018 Old Billingsgate hosted the Top Employers UK Certification dinner: a celebration evening at which successfully certified UK organisations were presented with their well-earned awards.